We are your target (pun intended) audience, and I'm here today to tell you that what I'm about to say is important to all of us. You are making our daughters' clothes wrong. I think you know I love you. (Enough even to commit the cardinal sin of blogging, the dreaded open letter.) We go way back, you and me, as my bank statements can attest. I will go out of my way and drive further across town to shop at your store over your biggest competitor because you are cleaner, less crowded and you give my kids free popcorn for being buckled safely into the cart. Also, the last time I stepped foot in your competitor's store, one of their employees was casually using the f-word in conversation with a customer in the children's department, which was more than a little off-putting. I know that I can trust you not to allow that sort of thing to happen. You'll always be my first choice. But you have a problem, and for too long I have allowed my checkbook to make me an enabler. The worst part is that my children are involved in this cycle. It stops now. This is an intervention for your own good. I'm only singling you out because I expect more from you and I know you can deliver. You sell clothing for children, right? Rhetorical question. My friends and I buy a lot of it. We are your target (pun intended) audience, and I'm here today to tell you that what I'm about to say is important to all of us. 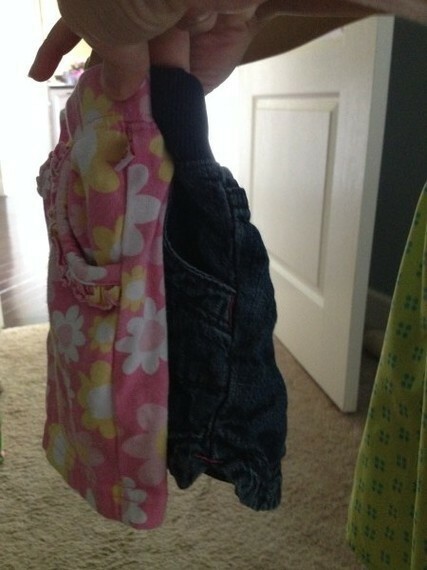 You are making our daughters' clothes wrong. 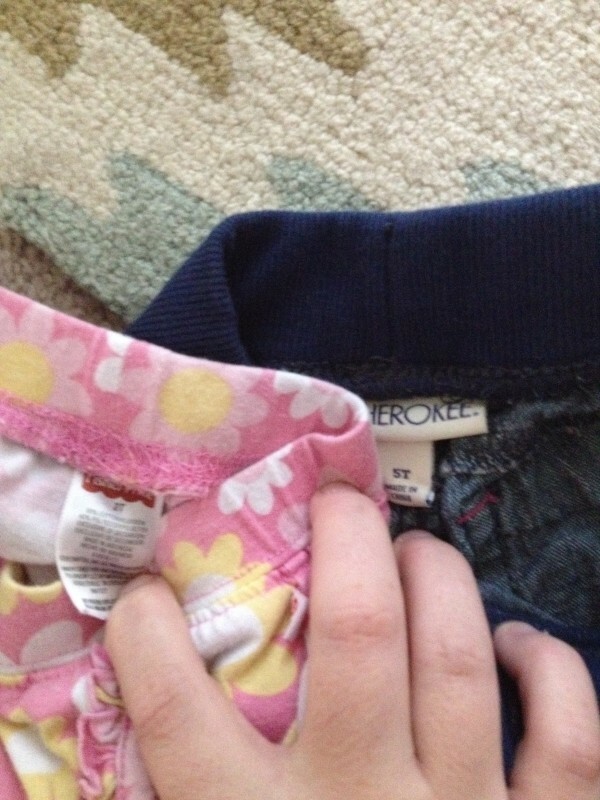 I'm sure you already know this, but your size 5T shorts are actually smaller than many size 2T shorts made by other brands. Why are you offering my kindergartener clothes that are sized for children less than half her age? Honestly, these are your Cherokee jean shorts in a size 5T. When I hold them up next to a set of Fisher Price shorts in a size 2T, guess which ones are longer? C'mon guys, you can do better than that. What's that? Why do I even own these size 5T shorts? Well, sometimes my ultra slim kindergartener wears them underneath her dresses for playground modesty, but mostly we own them because they fit her little sister perfectly. Since, you know, this one is currently in that awkward space between a size 24 months and moving into the T sizes. I'd like you to meet my youngest daughter. She is 2 1/2, weighs approximately 25 pounds and had consistently been in the "average" range on all of the doctor's charts, hovering around the 50% percentile. 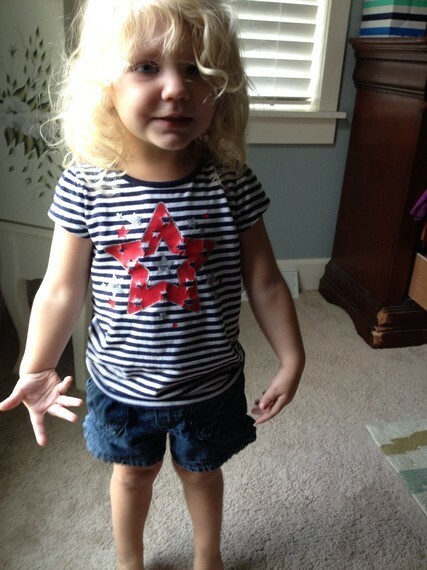 There is no reason my toddler should fit in these shorts, but she does. She fits into quite a bit of your other size 5T clothing as well, so I know it wasn't just a mistake with this particular pair of shorts. Don't you dare try that with me. Every time the grandparents ask what size her sister is wearing so that they can spend their money at your store as well, I wind up passing down some brand new, too short for their label hand-me-downs to my smallest child. 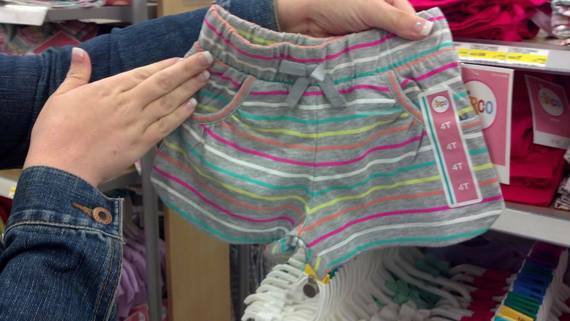 Because you are manufacturing your girls' clothing WAY too small. I took this picture last summer, when I was irritated because the crotch was the longest part of every single pair of shorts offered in the toddler section of your store. I asked other moms on my Facebook page if they were as irritated by this as I was, and it was immediately greeted with similar feedback from other moms who are not happy with this situation either. So, can we do something about this please? Because all we want to do is continue spending money at your store without exposing our daughters' most precious assets. A concerned mom who likes to shop. For more from Stephanie Giese, visit her blog, Binkies and Briefcases.